I’ve always loved the BattleTech universe. Back in college I used to play the RPG, and delighted at challenging the various maps and scenarios my friends would come up with. I never got into painting Mechs and building terrain, but knew a lot of people who did. Just so you know that I am a big fan. In terms of computer games, there have been quite a few BattleTech type titles, going from the original classic developed by FASA Interactive through the first-person MechWarrior series, and my personal favorite (which still gets fired up from time to time) MechCommander. There have been others either directly tied to the BattleTech universe like MechAssault, and those which borrowed heavily from it like Ring of Red. 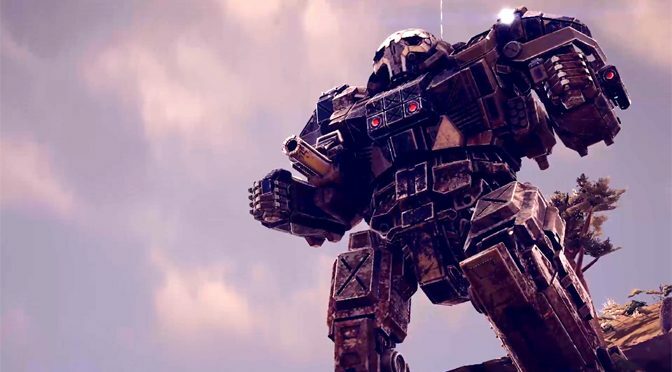 There is also currently an online only game called MechWarrior Online. However, for the most part, we have not had a solid fully BattleTech world title in quite some time. I don’t know why this is. The concept of stomping around in robots the size of buildings and fighting other robots with mega lasers and battleship type cannons would seem like a perfect gaming setting. I heard that there were licensing issues at fault, but I don’t know for sure. 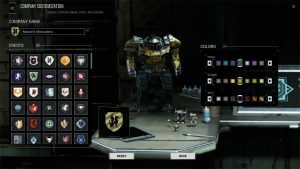 Whatever the case, it has been far too long since we got treated to a new BattleTech world, so the emergence of BATTLETECH (I have no idea why the title is in all caps since it never was before) was welcome news. Warm up your reactor core (or try to keep it cool) with a copy of BATTLETECH from Amazon! 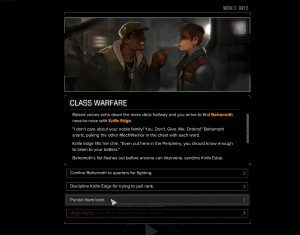 The fact that the game was being developed by Harebrained Schemes (HBS) was just icing on the cake, given their excellent conversion of the pen and paper Shadowrun game into one of the best computer RPGs to come out in years. 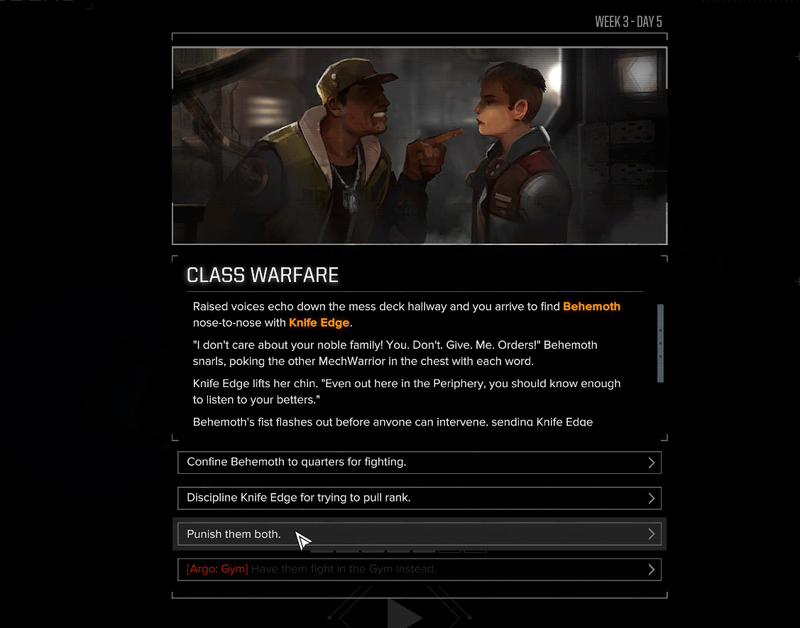 Surely, they would do a similarly good job with BattleTech, even if they did insist that we call it BATTLETECH in all caps now. So did they? Unfortunately, the only answer that makes sense is “it depends,” though “kind of” would also be acceptable. First off, this is truly a BattleTech universe, including all the deep lore and backstory involving leaving Earth and expanding into the vast cosmos, the history of the Star League and its fall, the rise of the noble houses and centuries of warfare. Even the LosTech is well represented, those things that used to be commonplace out there in human-controlled space, like advanced system-jumping vessels, that nobody really knows how to make anymore. 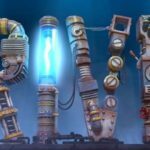 Although some factories still produce new Battle Mechs, much of the innovation from yesteryear has been lost, and Mechs are increasingly rare. 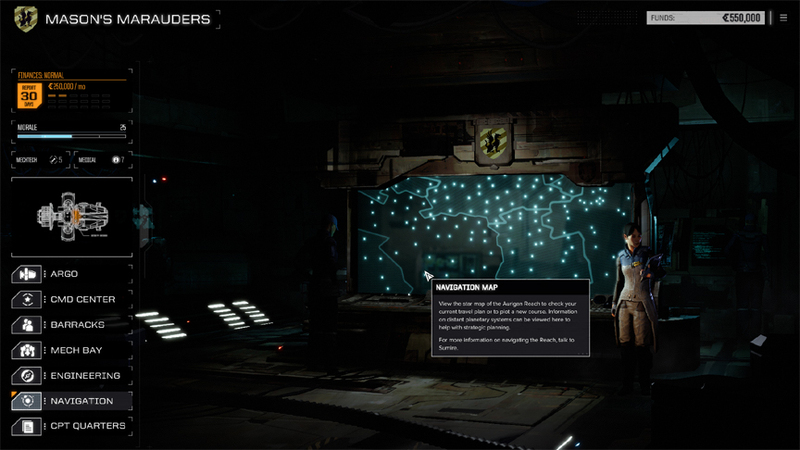 All of this is explained in yellow highlighted text as you adventure, shown as part of various story missions. 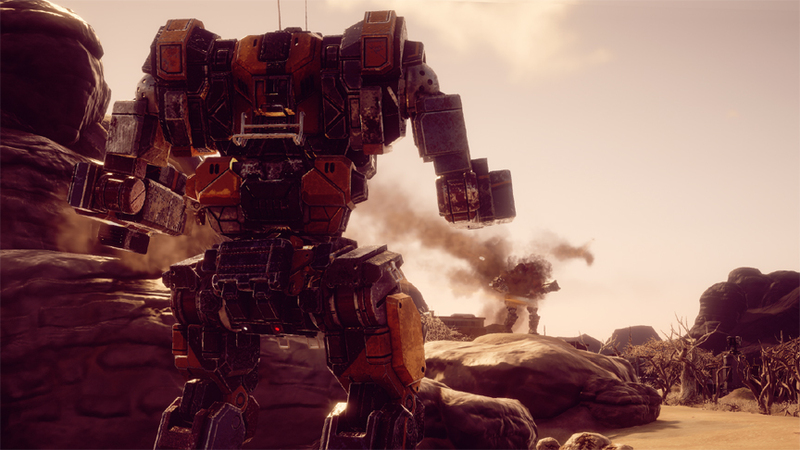 Hover over it to immerse yourself in BattleTech history, or ignore it if you don’t care. But it’s there if you want it. 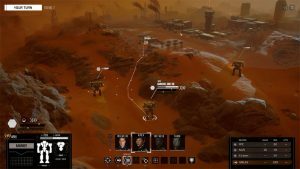 In terms of story, BATTLETECH is a bit of a mixed bag. Yes, you have this deep history to draw on, but for some unknown reason, HBS choose not to provide us with deep characterization. You do get to run your own Mech company, which is nice, and there are sometimes events that happen on long rides to new jobs – things like Mech pilots getting into an argument or a fight, that you need to mediate. But the thing is, these events are simply random, and not dependent on which mercenaries you have in your crew. 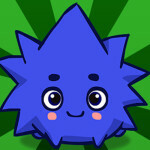 If in one playthrough Sumo gets into a fight with Decker, and you don’t have either one of them in another game, they will simply replace the combatants with Speedy and Behemoth, or whoever you happen to have on staff. Gone are the deep personal interactions and interesting side quests that we experienced with Shadowrun. The mercs in your company are little more that statistics, and are completely interchangeable. You probably wont even feel too much for your main character because ultimately, they are just another jumble of statistics. One could argue that the real stars of the game are the Mechs, and I suppose that is true, though I did expect more RPG depth from a developer like Harebrained. When it comes to Mechs, most of the models from the pen and paper version of the game are present, at least in terms of inner-sphere Mechs. 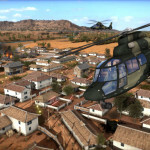 Perhaps the clans like Smoke Jaguar will come in the form of DLC. Your computerized opponents only rock stock Mechs however, so fighting them gets a little boring. For example, every time you see a Hunchback, you know it will have an AC20 cannon and two medium lasers for example, so you can plan accordingly, like backing up and peppering it with LRMs while it struggles to close. Players are not similarly restricted. 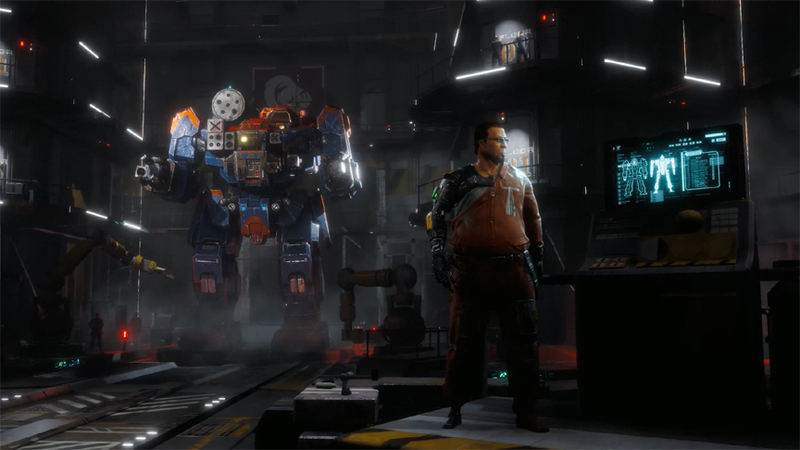 Inside your Mech Bay, you can customize your Mechs. In almost every other Mech game, you were only restricted by weight when designing your own fighting robot, and eventually by heat when you hit the field. HBS added hardpoints to this equation, and I am on the fence about whether I like that or not. Basically, each Mech can only have so many energy weapons, ballistic weapons, missiles and close combat mounts based on the number of hardpoints. And those hardpoints are restricted to specific locations, so if a certain model only allows missiles to be mounted on its left arm, you can’t move it to the legs or torso. Personally, I like to be really creative in my Mech designs, going all the way back to the pen and paper days, and I find the hardpoint system too restrictive. I prefer something like MechCommander where you were restricted by tonnage weight (of course) and then weapon block space. You have all those restrictions here too, but won’t be turning your nimble Blackjack into an SRM missile boat to see how it works. Your hardpoint loadout won’t support it. More troubling, and deeply frustrating, is the fact that you really can’t purchase the Mech frames that you want. Do you want to field a light company of jump-jet capable, PPC-firing Panthers, and call them the Ozone Kitties? How about a lance of Hunchbacks mixed with lightly armored units sporting sniper AC2 cannons that hang back and cover heavier builds with shorter-range AC10s as they move into range? And perhaps they would have a heavy with an AC20 for cleanup? Sounds cool right, and quite a way to set off your Mech company as unique? Good luck. Even if you have the money, Mechs are normally not for sale, anywhere. The only way to get the Mechs you want is to fight them in combat, and then salvage parts off them at the end of the battle, assuming you negotiated for salvage rights. Mechs break down into three pieces. Once you collect three, like some giant Pokémon game, (they are generic pieces, so you don’t need to worry about only having heads or legs or something) you can build that new Mech. So if you want a kickass Hunchback company, which I would call Quasimodo’s Bell Ringers, you have to randomly fight a bunch of them and build each one from scratch, which isn’t practical at all. 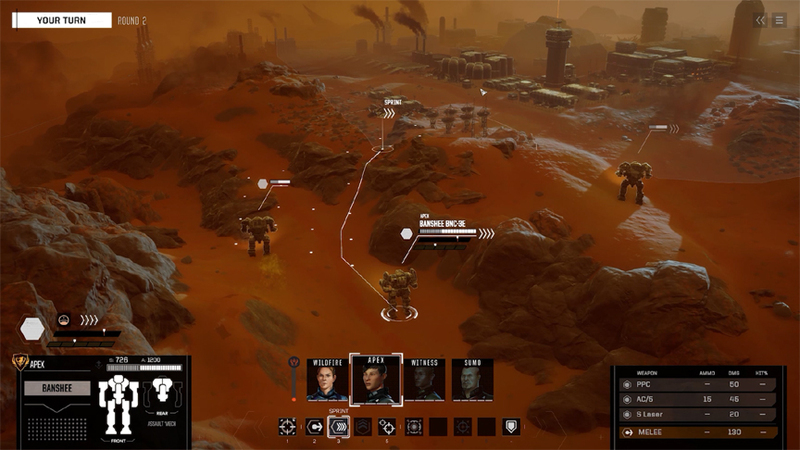 Its also really hard because it means your light Mechs will have to fight heavy ones just to eventually bring a heavy into your company – which yes, you will need to do in the early game. Getting to the actual battle, unfortunately, brings up two of the games more obvious flaws. First is how amazingly resource intensive BATTLETECH is, requiring far more than the recommended specifications. Load times can stretch to three minutes. It takes forever for the computer to make its move, even if their units are off screen behind the fog of war. When you can see them, it’s worse, as you are forced to zoom in and watch their Mechs slowly plodding along in non-skippable cutscenes. Everything about the interface, even pressing buttons or making selections on the screen, feels sluggish and unresponsive. And that brings up fault number two: somehow, all that sluggish CPU-frying behavior does not seem to translate into a beautiful graphical experience. I can understand something like Kingdom Come: Deliverance being hard on graphics cards, but BATTLETECH does not look all that great. It’s not bad, just nothing special. Basically, the Mechs are fairly well detailed, but the terrain looks somewhere between Claymation-level graphics and the set of a 1970’s sci-fi movie. It’s just not realistic at all. The trees look like props. Buildings are nondescript and boxy. Water looks flat. It really makes you wonder why the game is chugging along so hard and acting so sluggish, when the graphical payout is minimal. 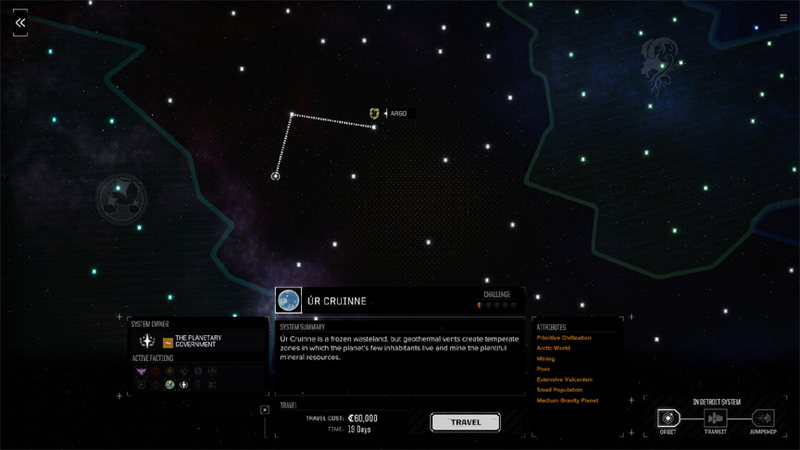 As you can probably deduce from the short video of one of my early missions above, there are also a few AI problems. The computer AI basically just comes straight at you, with no thought of strategy. In mixed lances, that means that the light Mechs will arrive first and get chewed up by your team, probably dying before the heavies even get in range. BATTLETECH makes up for this by fielding a ton of enemies on most missions, sometimes as many as ten or more enemy Mechs, which easily outnumber your maximum four Mechs per mission. I would have preferred a more tactically sound enemy over mindless brute force offensives. Even forcing the badly lopsided numbers, given that the AI fights the same way every time, once you learn their tactics, you will probably win most battles. Again, I am not sure why the enemies in Shadowrun were so much smarter. 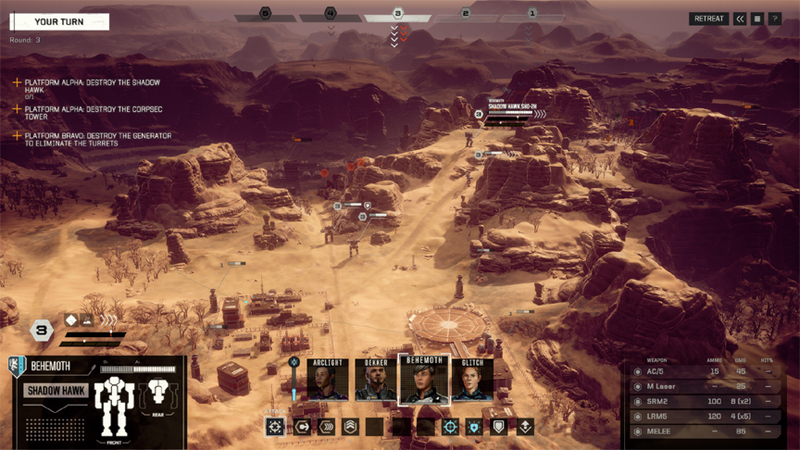 Perhaps it’s unfair to compare BATTLETECH with Shadowrun, but the difference is so striking that it’s hard to believe they were made by the same studio. Both of them are turn-based games from HBS, yet Shadowrun looks amazing, has its own identity, a smart AI, deeply rich characterization and plotting, and runs as smooth as hot butter on nearly any system. 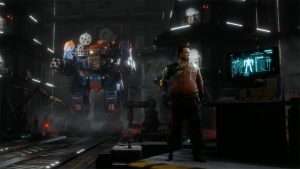 BATTLETECH seems to want a supercomputer as its host, looks generic, has almost no role-playing beyond a few random dialog choices, a bit of a ham-handed AI, and fights players with sluggish controls at every turn. 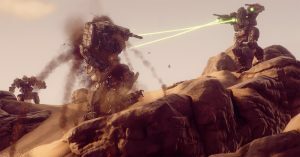 There are a lot of, lets call them disappointing, aspects when it comes to BATTLETECH. This does not make it a bad game, or at least not a terrible one. But it’s sad, and more than a little frustrating, that a title with such a rich history, a passionate fanbase and a literal universe of content, should fall so short of being an epic game. Honestly, I think everyone expected a lot more from HBS. That said, I still go back and play BATTLETECH. I think I do it because it provides an interesting window into the BattleTech world that is simply unavailable elsewhere. For example, when you are just idling on your ship, they have these shipboard announcements that occur which makes you feel like you are really there. 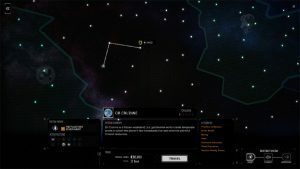 And looking at the big galaxy map, knowing that you can go anywhere (as sections unlock) and get into all kinds of trouble, is just a fun experience. 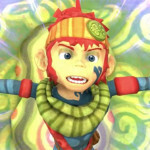 Sure, it makes me sad thinking about what might have been, but at least we have a passible title in a fascinating world that many of us love. And I guess lukewarm BATTLETECH is better than nothing – though you could always load up MechCommander 2 again I suppose, and have an arguably better experience. 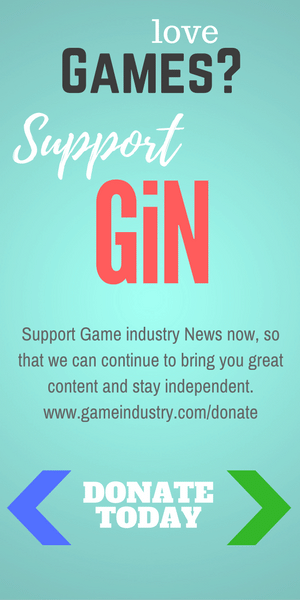 BATTLETECH earns a decidedly average 3 out of 5 GiN Gems.